Is there too much emphasis on guided reading in primary classrooms? It's a question that many educators, like kindergarten teacher and literacy coach Cathy Mere, are starting to ask. 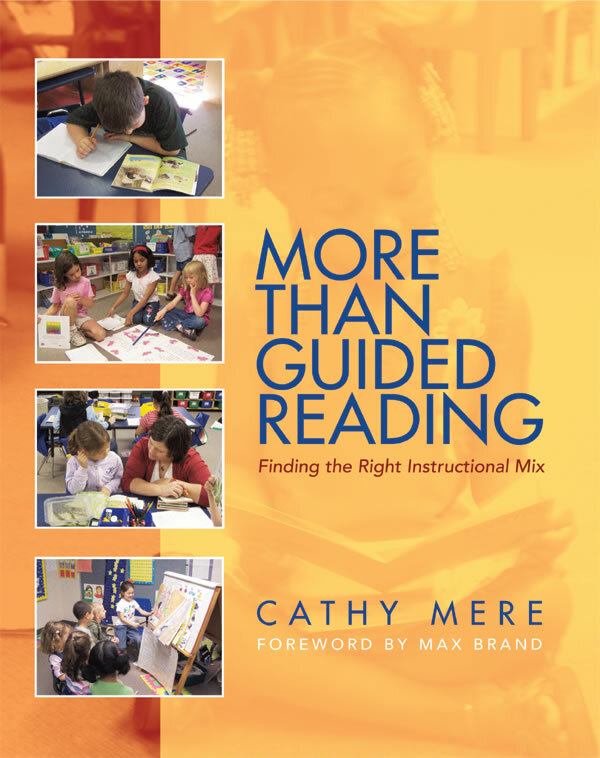 Guided reading provides opportunities to teach students the strategies they need to learn how to read increasingly challenging texts, but Cathy found that she needed to find other ways to help students gain independence. While maintaining guided reading as an important piece of their reading program, teachers need to offer students opportunities during the day to develop as readers, to learn to choose books, to find favorite genres and authors, and to talk about their reading. In More Than Guided Reading, Cathy shares her journey as she moved from focusing on guided reading as the center of her reading program to placing children at the heart of literacy learning—not only providing more time for students to discover their reading lives, but also shaping instruction to meet the needs of the diverse learners in her classroom. By changing the structure of the day, Cathy found she was better able to adjust the support she was providing students, allowing time for whole-class focus lessons, conferences, and opportunities to share ideas, as well as reading from self-selected texts using the strategies, skills, and understandings acquired in reader's workshop. The focus lesson is the centerpiece of the workshop. It is often tied to a read-aloud and connected to learning from the previous day, helping to build skills, extend thinking, and develop independence over time. This thoroughly practical text offers numerous sample lessons, questions for conferences, and ideas for revamping guided reading groups. It will help teachers tweak the mix of instructional components in their reading workshops, and provoke school-wide conversations about the place of guided reading in a complete literacy curriculum. Cathy Mere is currently teaching first grade in Hilliard City Schools, Hilliard, Ohio. She has taught kindergarten through sixth grade, most recently teaching and learning alongside students and colleagues at J.W. Reason Elementary as a literacy specialist and kindergarten teacher.